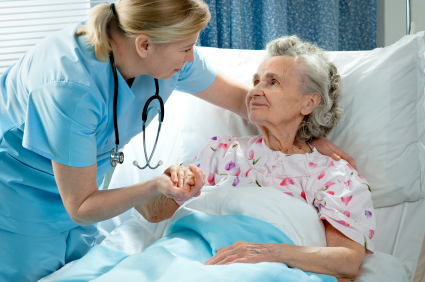 Pressure ulcers (aka bedsores) have always been a big concern in the healthcare industry due to the fact that they can develop in as little as two hours and potentially lead to a patients death. Now that the federal government no longer reimburses caregiver facilities for the treatment of pressure ulcers, necessity to prevent and find inexpensive ways to treat is at an all-time high. Although the U.S. government has deemed most pressure ulcers to be preventable and avoidable, 2.5 million Americans are treated for bedsores annually, with 60,000 of them dying from related complications. While prevention is surely key, unfortunately bedsores continue to be a perpetual problem and treatment for just one full-thickness wound could be as high as $70,000, or MILLIONS if a lawsuit ensues. Water ionizers use electrolysis to produce two streams of water — one alkaline, for healthy drinking, and one acidic, for external uses like disinfecting. You just hook the water ionizer machine up to your regular tap and turn ordinary water into filtered, ionized alkaline and acidic miracle water! Water ionizers were certified in Japan as medical devices by the Pharmaceutical and Food Safety Bureau of Japan’s Ministry of Health, Labour and Welfare in 2006 after decades of research in Japan, Korea and Russia. Acidic water produced from water ionizers is used in hospitals and medical facilities across Asia to treat bedsores and sterilize and disinfect skin and equipment due to its amazing antibacterial properties. Even some hotels in the U.S. have replaced their cleaning supplies with ionized acidic water and–after overcoming their initial disbelief–their staff couldn’t be happier with the results! Our skin is naturally slightly acidic in order to help fight off bacteria, and ionized acidic water is a natural astringent which is safe for undiluted application to the skin and may help clear up blemishes, rashes and dry, rough or itchy skin. Japanese doctors were amazed when it healed pressure ulcers all the way down to the bone! We know what you’re thinking. How could WATER do all that? We were skeptical of its disinfecting and anti-bacterial qualities too until we personally tested using a restaurant-grade bacteria meter and then we sent it out for professional testing. The Chanson Miracle ionizer has been third party lab tested and verified to be able to make strong acid water that can disinfect on contact! * We tested it on both ecoli and staph germs with outstanding results! A Chanson ionizer is a valuable investment for any medical facility that should end up paying for itself! *In 70% of all water sources. Some water sources may require up to five minutes to kill bacteria. A new report released by the Breast Cancer Fund documents the presence of the toxic chemical bisphenol A (BPA) in canned foods used to prepare a typical Thanksgiving meal. The report, “BPA in Thanksgiving Canned Food,” tested Campbell’s Cream of Mushroom Soup, Campbell’s Turkey Gravy, Carnation Evaporated Milk (by Nestle), Del Monte Fresh Cut Sweet Corn (Cream Style), Green Giant Cut Green Beans (by General Mills), Libby’s Pumpkin (by Nestle), and Ocean Spray Jellied Cranberry Sauce. Single servings of almost half of the products tested had levels of BPA comparable to levels that laboratory studies have linked to adverse health effects. 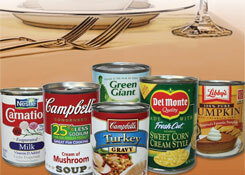 BPA is used to make, among other things, the epoxy-resin linings of metal food cans. The lining forms a barrier between the metal and the food which helps to prevent bacterial contamination. However, the toxic chemical can leach from the resin and make its way into food. BPA has been linked in laboratory studies to adverse health effects such as breast and prostate cancer, infertility, early puberty in girls, type-2 diabetes, obesity and attention deficit hyperactivity disorder. For this report, the Breast Cancer Fund sent 28 canned food items—four cans of each product tested—to Anresco Laboratories, an independent testing laboratory in San Francisco. The testing revealed tremendous variability among cans of the same product made by the same company, which is consistent with other product testing data. For instance, BPA levels in Del Monte creamed corn ranged from non-detectable to 221 parts per billion, and levels in Campbell’s Turkey Gravy ranged from 5 to 125 ppb. According to scientists at the Breast Cancer Fund, these inconsistencies might be explained by variations in the canning processes across facilities and batches, as well as storage and transportation conditions. The tests detected no BPA in any of the four cans of Ocean Spray Cranberry Sauce. The company has stated that while it does use BPA in its cans, independent tests also indicate no leaching of BPA into the food. As part of the Breast Cancer Fund’s Cans Not Cancer campaign, consumers have sent more than 50,000 letters to canned food manufacturers urging them to get BPA out of canned foods and replaced with a safer alternative, and many are beginning to pay attention. A number of companies including some of the can manufacturers featured in this report, such as General Mills and Nestle, have announced that they are working toward alternatives to BPA in canned foods. However, not all of the manufacturers are disclosing the alternative they are exploring. It is imperative that manufacturers are transparent about these alternatives and ensure they are safe. At the public policy level, 11 states have banned BPA from baby bottles and sippy cups, and three of those states have also banned it from infant formula and baby food. The Breast Cancer Fund is also supporting pending federal legislation authored by Rep. Ed Markey, D-Mass., that would ban BPA from all food and beverage containers including canned foods. Visit www.breastcancerfund.org/thanksgiving for the full report and Myths and Facts about BPA in Canned Foods, combating the common industry arguments in favor of BPA. For our suggestions on how to prepare a more alkaline and BPA-free holiday meal click here. Chanson Water recognizes the importance of keeping BPA out of not just food but our water as well, which is why were a pleased to offer a BPA-Free Water Bottle. For more information on the importance of living a healthy alkaline lifestyle, visit our web site at www.chansonwater.com. How would you like to win a FREE Chanson M.A.X., our top-performing 7-plate countertop ionizer valued at $2,195? You can! Just follow the steps below to enter, there’s no purchase necessary! We all know that ionized water works and how great Chanson ionizers are, but many many people are still skeptical about water ionization, and we need your help to gather data that will eventually be used to get university studies funded and finally provide the proof we all know is there to be found. 1. Submit any before and after doctors or lab reports showing an improvement you achieved while on Chanson ionized water along with a detailed description of your experience and results to info@chansonwater.com with the subject line “Win a FREE Chanson M.A.X. Ionizer Contest.” Example: A doctors report showing blood sugar numbers dropped since starting ionized water. We understand the doctors report will not mention Chanson or ionized water but this is where your details are needed to tell your story. If your testimony relates to some improvement in your appearance then we would love to see before and after pictures. If your doctor or health care professional can write a letter stating the improvements he or she has seen since you as the patient started using Chanson ionized water that would be very helpful. 2. Contest begins November 1st, 2011 and ends on January 31st, 2012. 3. Winner will be chosen based on the documentation supplied and the level of results shown while drinking Chanson ionized water. 4. Prizes will be awarded as follows: One Chanson M.A.X. Ionizer will be awarded to the first-place winner and two runners-up will receive a free Chanson Shower Filter and a two month supply of Power Powder Organic Friendly Laundry Soap. Any questions? Please e-mail them to info@chansonwater.com or comment on this post. Give the gift of health for the holidays and get paid for it! 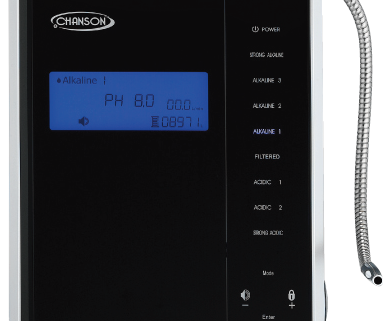 From now until December 12th, 2011 anyone who refers a family member or friend who ends up purchasing a Chanson water ionizer will receive a check for $100.00 direct from Chanson. Please only submit names of people you know are interested in a water ionizer and we will contact them. Please also be sure to let the people you are referring know that you have given their name and number to us and to expect our call. We hope everyone is aware of the great and easy financing program we offer though Med Line Financing where you can get a Chanson ionizer for nothing down and low monthly payments. The credit application can be found on www.chansonwater.com and all of our product pages. The best part about all this is when your friend or loved one gets their Chanson ionizer it will be because of you and the health results they achieve will be because you initiated their purchase of the ionizer. Please submit the name(s) and number(s) of your referral(s) to info@chansonwater.com with the subject line “Holiday Referral Campaign” along with your name and address. Commission checks will be mailed out upon the completion of our 60-day return period for the ionizer sold to your referral(s). Any questions? Please email info@chansonwater.com or comment on this post. The holidays are most often an excuse to overindulge or neglect your diet, but they don’t have to be. Perhaps you’re dedicated to or interested in keeping your alkaline-acid balance as close to 80/20 as possible, or your family has dietary restrictions due to diabetes or high blood pressure, or your son is bringing a vegetarian to dinner. Whatever the case may be, choosing to prepare and serve holiday meals which are more nutritious and less acidic is the best choice you can make for you and your family. 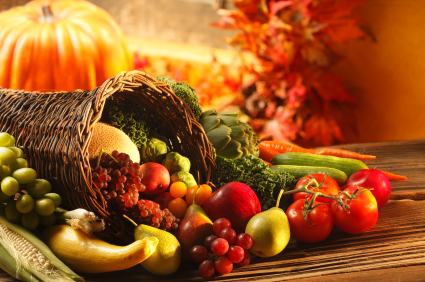 Here we will offer some suggestions as to alternatives or modifications to the traditional Thanksgiving meal. We hope that you will be inspired to try something new or to create your own, healthier, more alkaline dishes. In general it’s best to drink as little as possible of ANY beverage with meals in order to not dilute your food and to better absorb its nutrients. The healthiest, most alkaline beverage you can consume is Chanson ionized alkaline water. However, because your stomach uses its acids to break down the food you digest, it’s best not to drink more than four ounces of alkaline ionized water with meals or too close to your meal time. Therefore we recommend waiting one hour before and after meals before drinking alkaline ionized water, and serving purified water from a Chanson ionizer with meals if drinking more than four ounces. Bottled water is often acidic and plain tap water is filled with toxins and contaminants and should thus be avoided. Instead of alcohol, you may want to try Martha Stewart’s non-alcoholic Ginger Beer. Sugar can be replaced with stevia or agave nectar, which are both natural sweeteners. You can also try adding slices of lime and lemon to make it more alkalizing. Ginger has long been used to settle upset stomachs, so it may help in the event that some of your guests overeat all of your yummy food! Because this drink is non-alcoholic, it may be a good alternative to sodas for children (although you may want to use less ginger so that it’s more palatable). It takes 32 glasses of alkaline water to offset the damaging acidity of one glass of soda, therefore soda should be avoided at all costs. Diet sodas aren’t any better and contain artificial sweeteners with carcinogenic ingredients. Instead of cow’s milk, try almond milk. Despite the widespread belief that the calcium in cow’s milk is necessary for building strong bones, studies show a link between high milk consumption and osteoporosis! Cow’s milk is acidic, and instead of absorbing the calcium in it, your body literally robs its bones of minerals to offset the acidity! Alternatives like goat’s milk, soy milk, rice milk and almond milk are all preferred, however almond milk is most alkaline. You can find original, vanilla and chocolate almond milk at your grocery or health food store, or might want to try making your own Vanilla Almond Milk. Instead of unnatural fruit juices and punch, try preparing fresh-squeezed lemonade sweetened with stevia or agave nectar. Adults and kids alike might also enjoy Harry Potter Pumpkin Juice (can substitute stevia or agave nectar for honey, and cut out or reduce pineapple juice which is acidic). Another simple yet festive alternative would be fresh carrot juice, which you can make with your own juicer. If alcohol must be served, try limiting it to red wine, well known for its antioxidant properties. It’s best to start your holiday meal with a salad course followed by a soup course. This will allow your body to absorb the nutrients in the salad’s raw vegetables and fruits, while simultaneously filling you up so that you don’t overindulge on the main course and desserts. It’s important to soak all fruits and vegetables8.0-8.5 pH Chanson ionized water to remove pesticides and to enhance flavor, and to buy organic if possible. Some salads you might consider serving are: Energise for Life’s Alkaline Quinoa Salad W/Avocado, Poor Girl Eats Well’s Red Quinoa & Broccoli Salad with Almond Honey Vinaigrette, or your favorite salad with this lemon-based Alkaline Salad Dressing. These soup recipes caught our eye: Martha Stewart’s Vegan Roasted Pumpkin Soup, Delish’s Ginger-Pumpkin Soup (substitue vegetable broth for vegetarians or to increase alkalinity) and Energise for Life’s Alkaline Pistou Soup (similar to ministrone). If you have a favorite vegetable soup recipe, that would certainly be a better alternative to canned, processed soups which are high in sodium and preservatives. When preparing sides remember it’s important not use margarines as they are completely artificial and very acidifying. Instead of serving traditional stuffing which tends to be high in carbohydrates, sodium and fat, consider these alternatives: Fall Apple Cranberry Stuffing (raw) or Rice and Nut Stuffing (can substitute quinoa for rice and almonds for pine nuts). Instead of traditional mashed potatoes loaded with animal fat gravy, try using vegetable broth to make your own gravy or consider going gravy-free with either Herbed Mashed Potatoes or Cauliflower Mashed “Potatoes”. As an alternative to green bean casserole loaded with fat and sodium, we suggest Gaby’s Spicy Garlic Green Beans or sauteed green beans squirted with lemon juice. Forgo canned cranberry sauce which is high in sugar and preservatives and opt for Sugar Free Cranberry Chutney instead (use natural instead of artificial sweetener and consider adding nuts). Keep in mind that cranberries are acidic, so you only want to have a small portion. Get more vegetables on everyone’s plate with Energise for Life’s Roasted Artichokes with Lemon Oil Dip or AllRecipes.com’s Grilled Asparagus (use sea salt and squeeze lemon on top if desired). We know, we know. Turkey is the main staple to a traditional Thanksgiving meal and everyone expects it to be served. But what if we told you that turkeys (along with chickens) don’t urinate, and that their urine is absorbed into their fleshy tissue (read: the meat you eat) instead? Willing to reconsider now? The truth is that all animal products are acidic and forgoing the bird is the best way to have a cruelty-free, environmentally friendly, alkaline holiday. Top choices for alternative main dishes include: Alkaline Living’s Tofu Turkey, Martha Stewart’s Wild-Rice Stuffed Squash or Martha Stewart’s Quinoa Pie with Butternut Squash. Just because you’re trying to eat healthier and more alkaline doesn’t mean you have to skip dessert! Put a twist on traditional pies with The Acid Alkaline Diet’s Pumpkin Pie or Live Apple Pie or try something more original like this Zesty Lemon Kuzu Dessert, raw vegan Rawberry Cheezecake or Pumpkin Soft Serve “Ice Cream”. We wish you and your family a very happy and healthy holiday season. Don’t hesitate to tell friends and family about the difference Chanson alkaline water has made in your life! DISCLAIMER: Please be advised that not all ingredients in the recipes listed above are alkaline, and that not all experts agree on which foods are alkaline and which aren’t. The owners and affiliates of Chanson Water USA have not personally tested the recipes listed above but have deemed them to be mostly alkaline and better alternatives to traditional Thanksgiving fare.